Six months ago at Google I/O, Razer announces its intention to build what the company refer to as “micro console” that runs on Android TV platform. Earlier today, the official name for the product has finally been revealed; say hello to the new Razer Forge TV. Apart from the name, the company has also revealed plenty of details regarding the device and how it fits into Razer’s universe. First and foremost, let’s start with the components within Forge TV’s 17mm chassis: a 2.5GHz Qualcomm Snapdragon 805 quad-core processor, 2GB of RAM, 16GB internal storage, WiFi 802.11ac with 2×2 antenna setup, Bluetooth 4.1 + HS, HDMI 1.4, and USB 3.0. It also comes pre-installed with Android 5.0 Lollipop. Since Razer is a gaming company, the Forge TV is being marketed with gaming at its foundation with Android TV platform is responsible for providing Forge TV owners with contents from Google Play. Furthermore, users are also able to beam contents wirelessly from other device to Forge TV with the help of Google Cast. In few months’ time, users will be even able to stream games directly from their PC to Forge TV using an upcoming software from the company called Cortex: Stream. Interestingly, Razer stated that the software uses a proprietary technology that is able to deliver low latency gameplay and can dynamically adjust the game stream’s resolution according to users’ bandwidth. Razer has also come out with two new peripherals – Serval Bluetooth game controller (shown above) as well as Turret wireless keyboard and mouse combo – to be used with Forge TV. We’ll be discussing them in subsequent posts, so stay tuned. 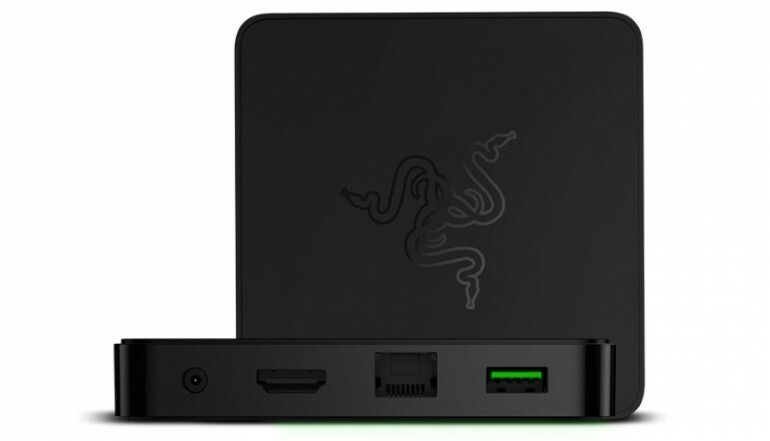 Meanwhile, the new Razer Forge TV is scheduled for release within the first quarter of 2015 with a price tag of USD 99.99 (RM 357). 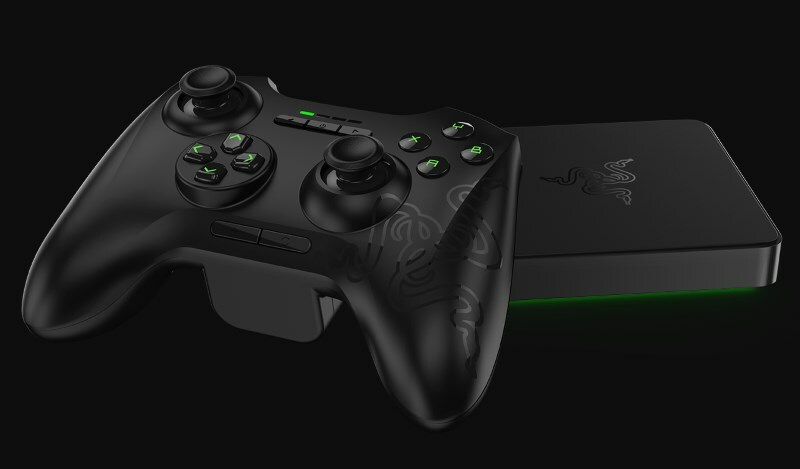 Users can also choose to have the device bundled together with a Razer Serval controller for USD 149.99 (RM 535).